Wailea Elua is a beautiful ocean front complex nestled in the upscale town of Wailea. Each buildings is low-density, which means it’s never crowded and you have plenty of open space to yourself. There’s a beautiful white sand gated beach, multiple pools and a recreation pavilion for barbecuing or just relaxing near the pool or beach. 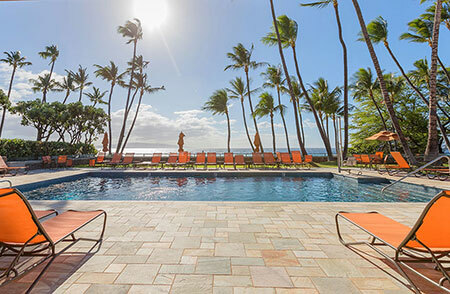 Serenity and comfort define this luxe complex, which include lush and well-manicured grounds dotted with lit pathways, blooming plumeria and other tropical flowers. Nearby the property are the spectacular restaurants, shopping and amenities that Wailea is known for, including golf courses, the Wailea Tennis Club, and the Shops at Wailea.